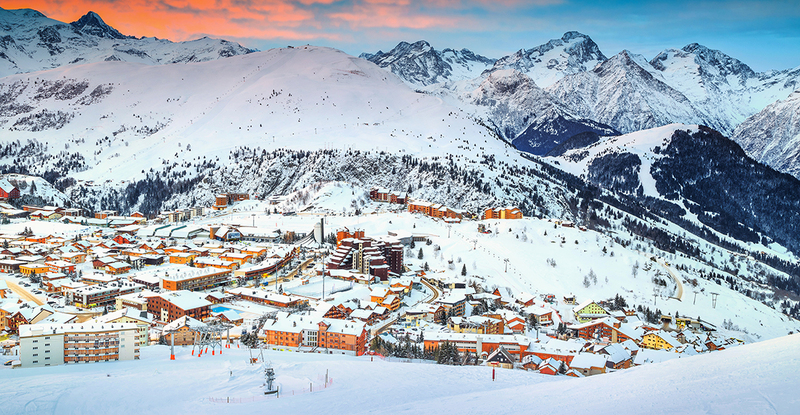 Alpe d'Huez is a resort that ends up surprising a lot of its first time visitors. At first glance, you would not be the first to think it as it simply another purpose built French resort with a few too many unattractive buildings. However, once you spend a bit of time here, you realise Alpe d'Huez has so much more to offer. The skiing in particular combines sun-bathed, snow sure and extensive slopes, all serviced by a fast and modern lift system. While down in the resort centre, there is no shortage of shopping possibilities along with some great restaurants serving traditional Alpine cuisine. When you put it all together, there is a whole lot going for this resort. 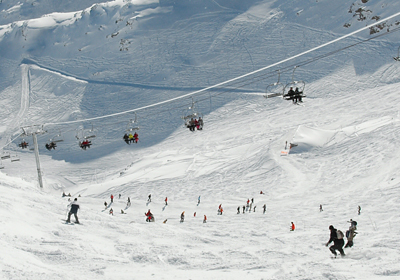 Even with its southerly position in the Alps, Alpe d'Huez is easily accessed via either Lyon or Grenoble airport. There is always a decent amount going on after the lifts close with a wide range of bars and clubs which can get quite lively in peak season. There are some great continental beers on offer, and you can often find live music and open mike nights. 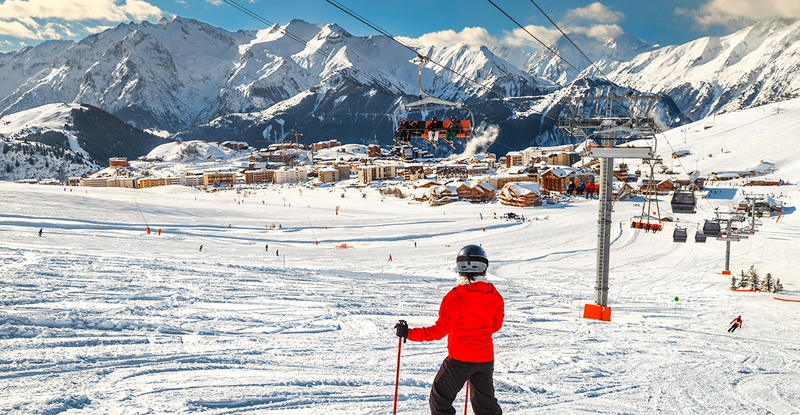 The Alpe d’Huez Ski Area currently has a combined total of 250km of downhill skiing, with 135 individual pistes, served by 80 ski lifts. This is to almost double in a few years once the link with Les Deux Alpes in finished. As a modern resort, all the lifts are fast and efficient allowing you to reach the top of the mountain in good time. 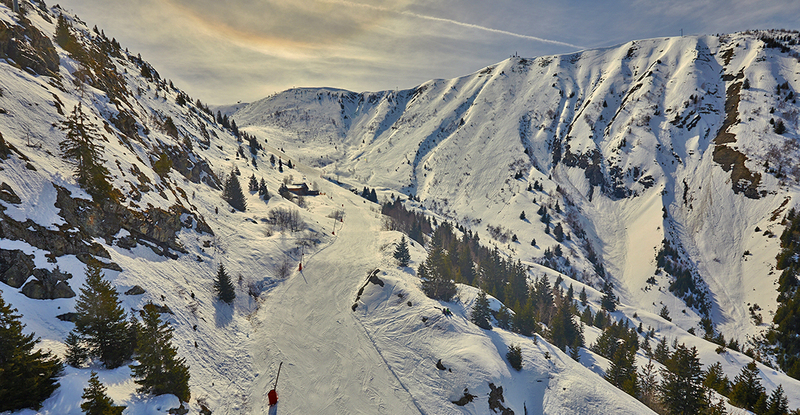 Alpe d'Huez has a good season spaninng from December to late April. Its high altitude combined with the sunny positioning means both the weather and the snow are usually spot on. Thanks to extensive snow making the latter is almost always assured. All levels of skier ability, from beginner to expert, are well-catered for and a large network of green runs can be found directly above the village, making it a great place to start learning. Alpe d’Huez is especially good for experts as, not only does it have its fair share of blacks and off piste, it also has the longest black in the alps. The Sarenne is 16km long, running from the Pic Blanc down the glacier, and provides a challenging yet equally satisfying run to competent skiers. 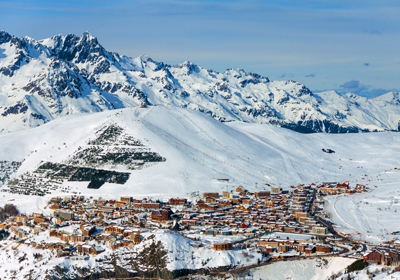 Alpe d'Huez is just as popular in the Summer as it is in Winter, receiving around 1 million visitors. 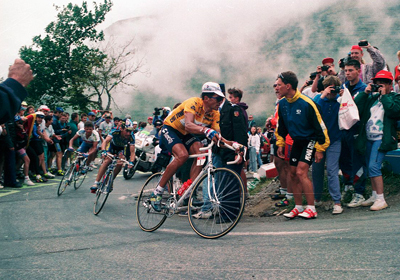 Some come for Summer skiing on the glacier, but many more come for the Tour de France, which provides stage 18 of the worlds' most famous bike race. It is therefore an ideal location for a fan to see the very best cyclists navigate the winding roads and 21 hairpin bends leading up to the resort. You can, if you feel you are up to the challenge, try and tackle the stage yourself. However, if you would prefer a less strenuous ride through the mountains, then instead there are 36 routes and over 250km of cycling trails with varying degrees of difficulty to choose from. There are also around 230km of marked hiking trails with beautiful scenery and stunning lakes all accessible from the resort. You can do anything from a gentle stroll to a three day adventure either all on foot or via the ski lifts still in operation. Additional activities range from fishing to mountain climbing and almost everything in between. Alpe d'Huez is mainly characterised by large apartment blocks which, for the most part, are unfortunately quite unattractive. 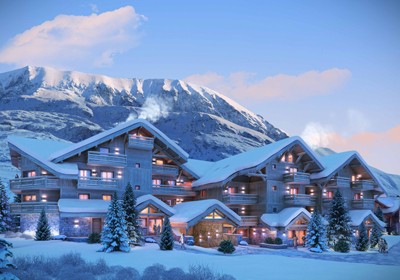 However with the new expansion project, which is soon to turn Alpe d'Huez into one the world's few mega resorts, a number of new apartment projects have started to come into development. In stark contrast to the 70s/80s architecture, these new developments are much more attractive and designed with traditional wood cladding. The apartments are all ski in, ski out, with some in an outstanding position right on the Front de Neige. This, combined with the overall improvement of the resort, makes for a perfect investment. If you are looking for a chalet then there are only a few options within the resort, with the only ones available connected to one of the new apartment developments. This means they too are ski in, ski out and can also access the development's spa and wellness facilities. Alternatively, you could head to the connecting resort of Vaujany where there are some well priced resale chalets available. Alpe d’Huez recently agreed to invest 350 million euros into it’s ski area meaning that, by 2020, it will have linked up with Les Deux Alpes. This will mean 450km of pistes and the third largest ski domain in the world, as well as finally creating a contender to challenge the the Trois Vallees.